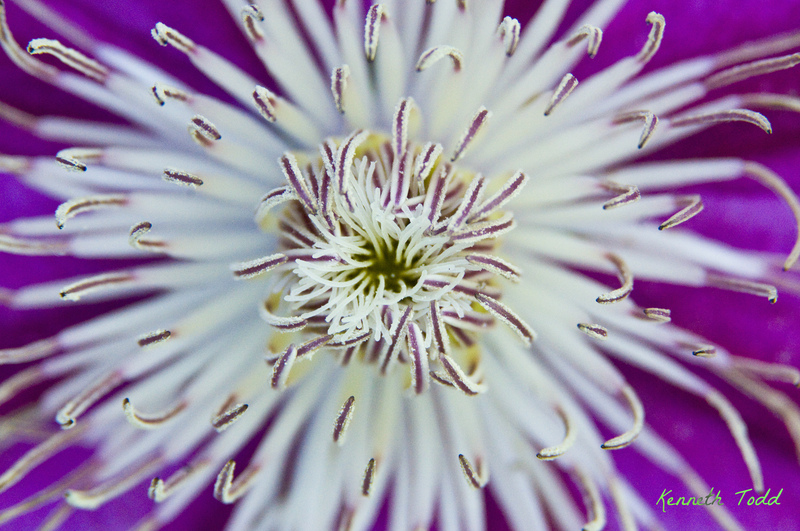 I took a Macro shot of this Clematis in the back of our garden. No need to go crawling on my belly through someone else’s yard for this one. Again I used the Kenko extension tubes on the end of my lens which was on Macro. So really shallow depth of field. I like this one. A quote from A Course In Miracles: Do you prefer that you be right or happy? Think about that the next time someone wants to get in an argument or you are about to disagree with someone. Don’t let the ego steal your joy. This is beautiful and right in your own backyard. I love that message from ACIM, too. Love the spiky soft feel of the photo. Great shot.